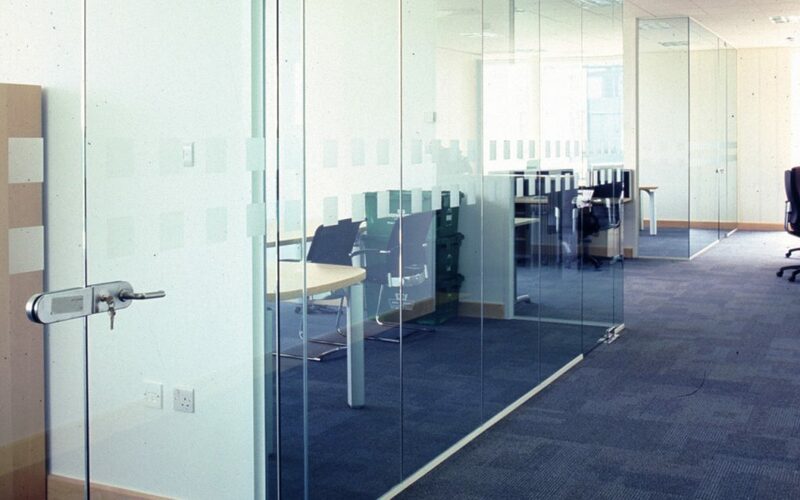 Choice is only limited by your imagination with the Viso Partitions range of manifestation and graphics. 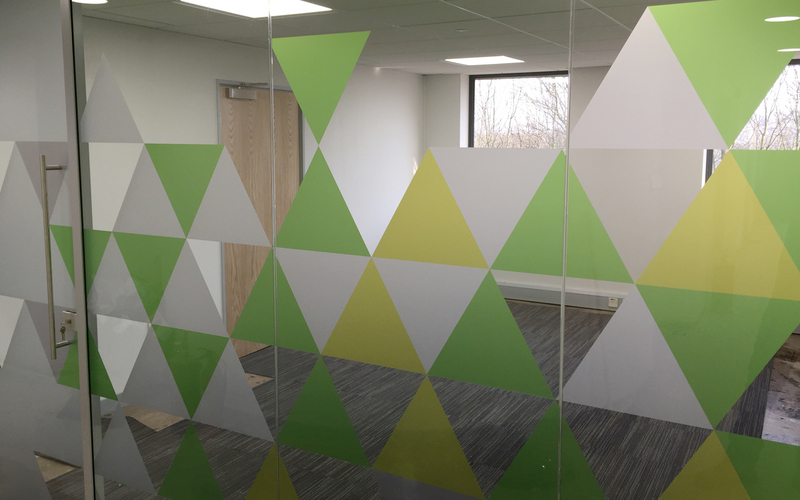 Whether you require straight forward dots, squares or stripes for straight-forward compliance with the Building Regulations Document K (formerly Part M), or full colour images and company logos, Viso Partitions can supply the graphics or offer a full design, supply and installation service. 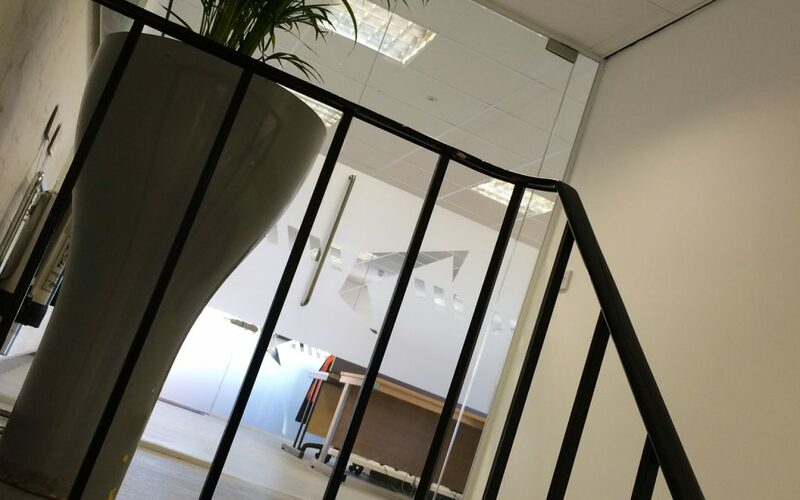 You have the opportunity to transform the space into an imaginative environment and thoughtfully create visual interest for privacy, decoration or corporate branding. 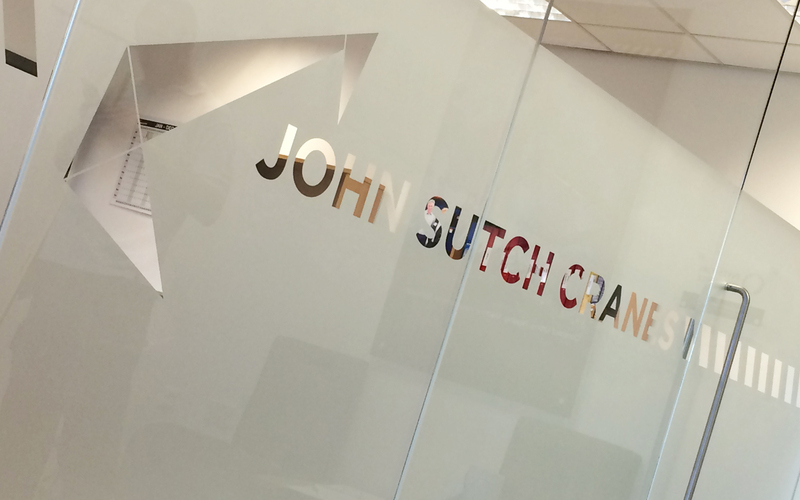 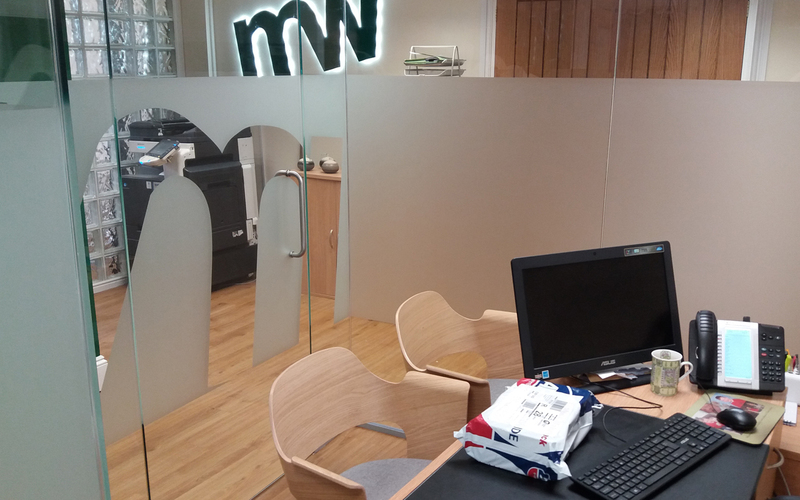 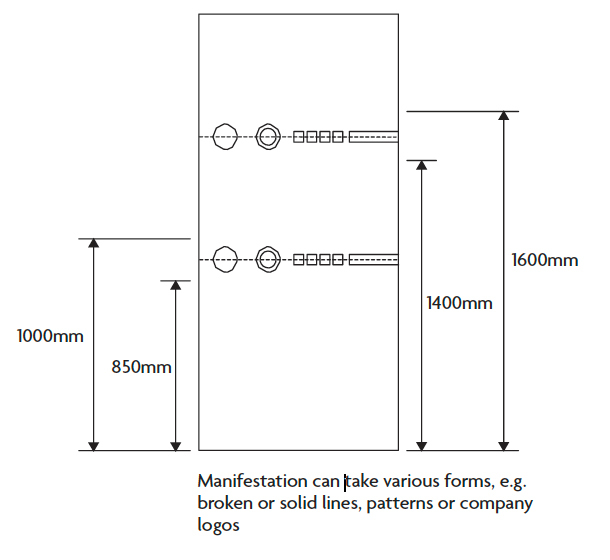 Manifestation can be removed and new designs added to reflect changing requirements, change of use or new occupiers. 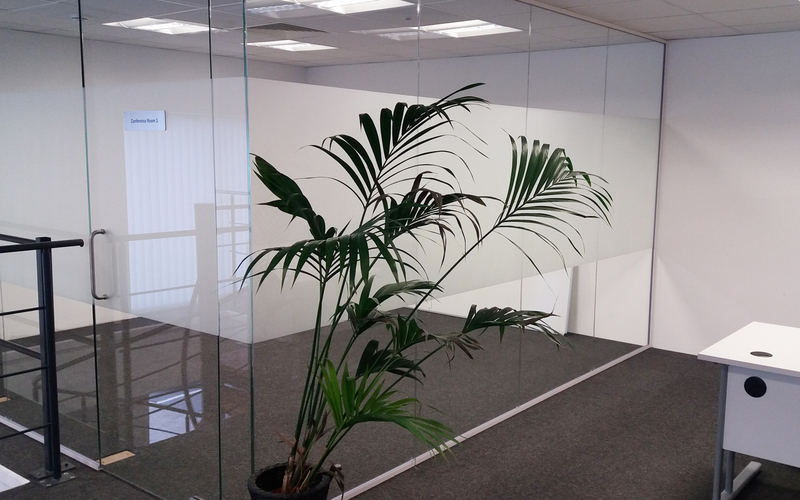 Whatever, your requirements, the Viso Partitions design team can meet your client’s brief. 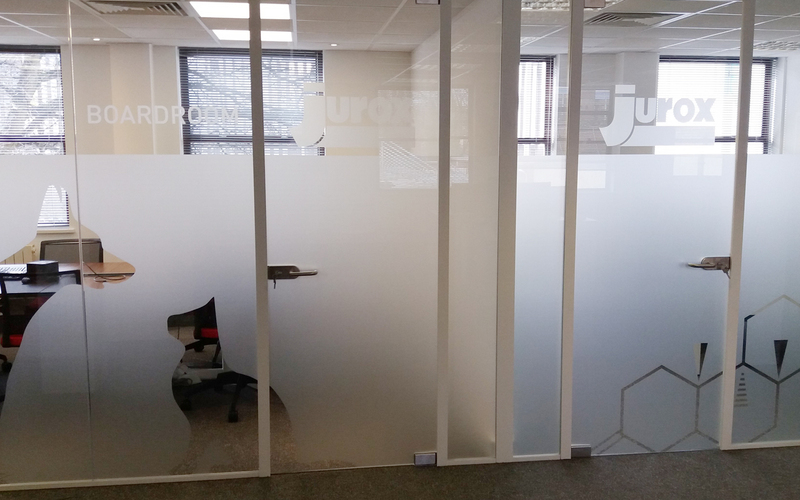 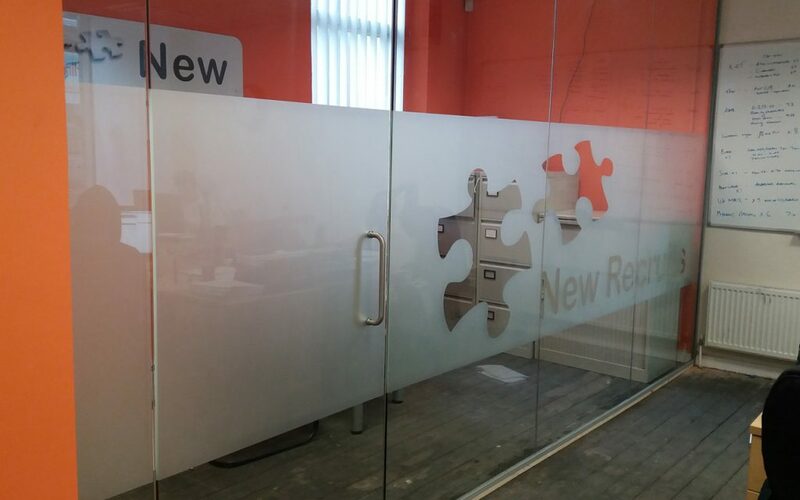 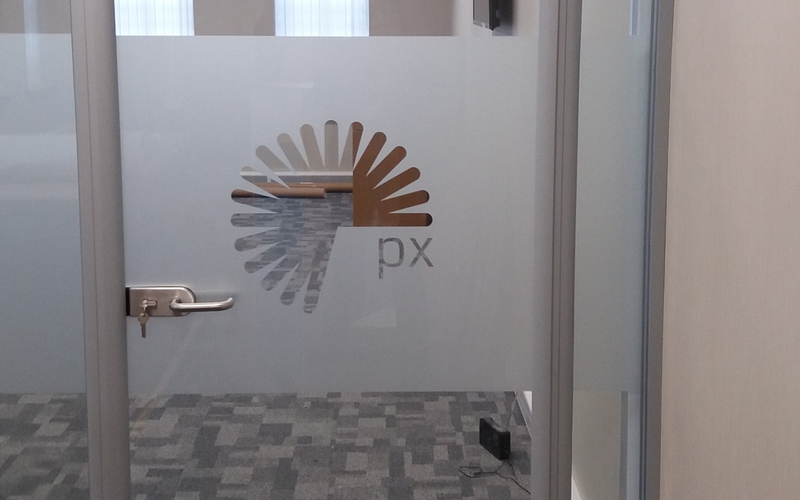 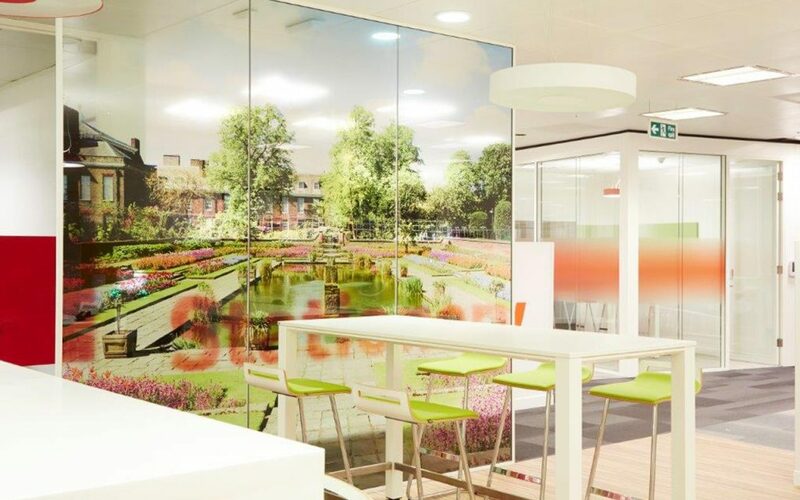 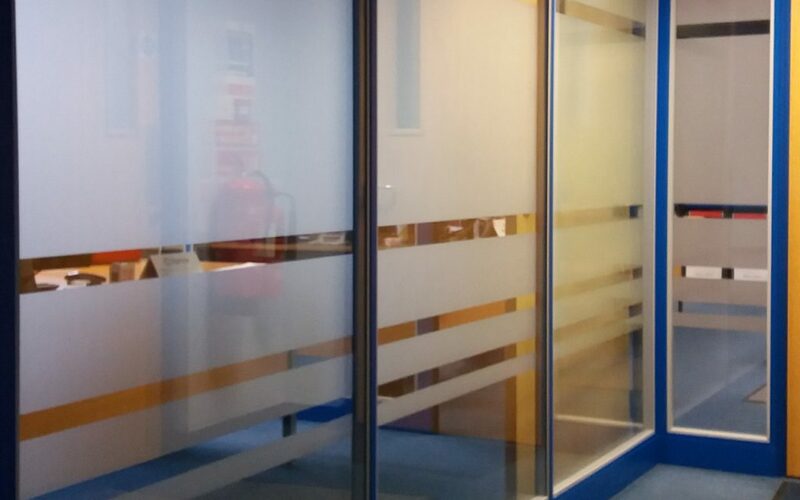 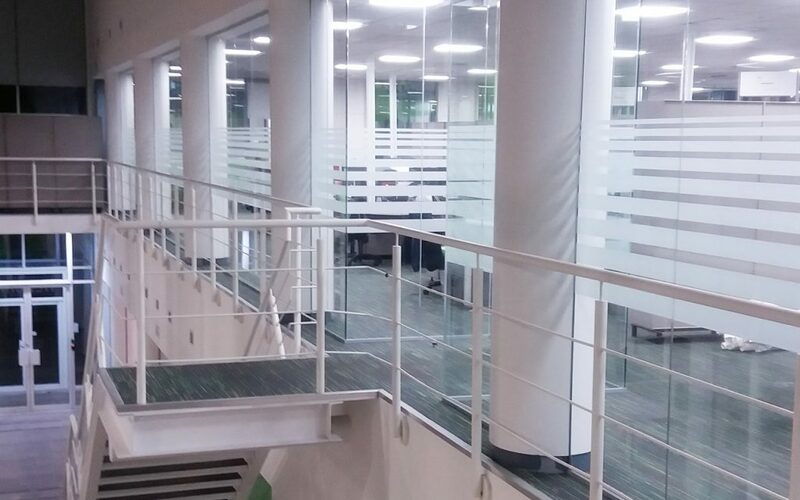 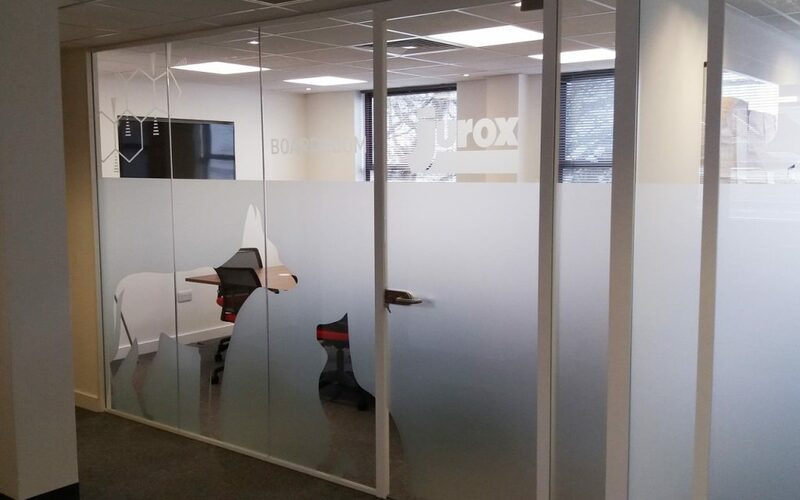 As well as providing the finishing touch to interior design when using glass office partitions, frosted manifestation is the most cost effective and easy way to ensure compliance with current building regulations. 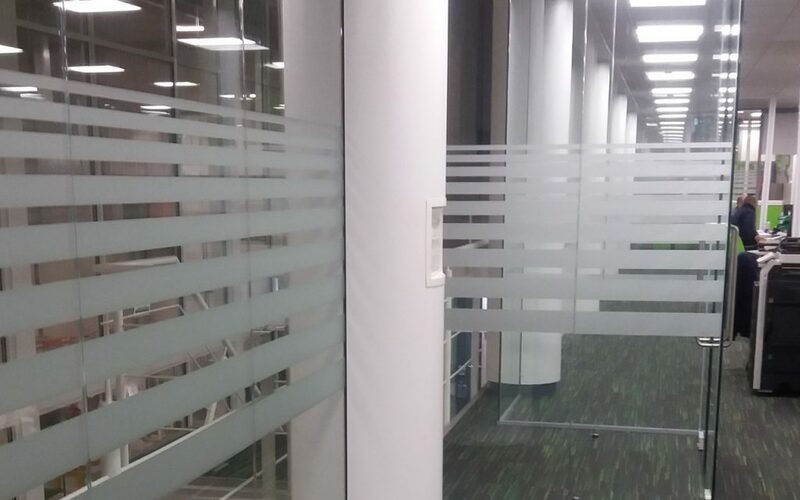 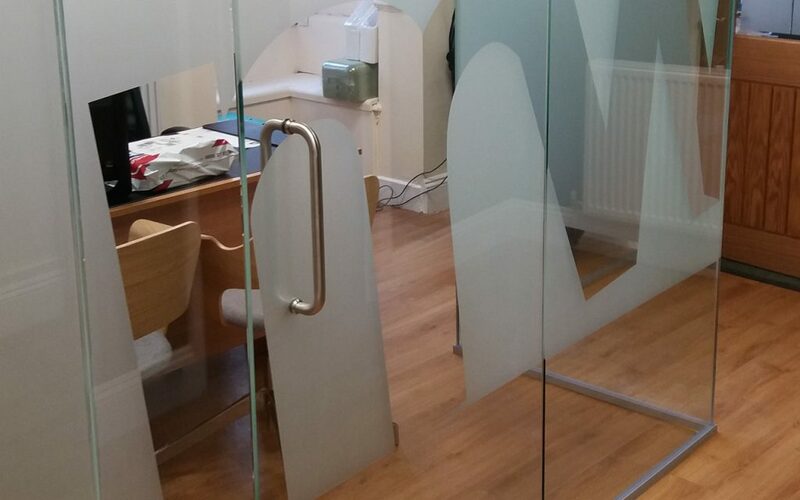 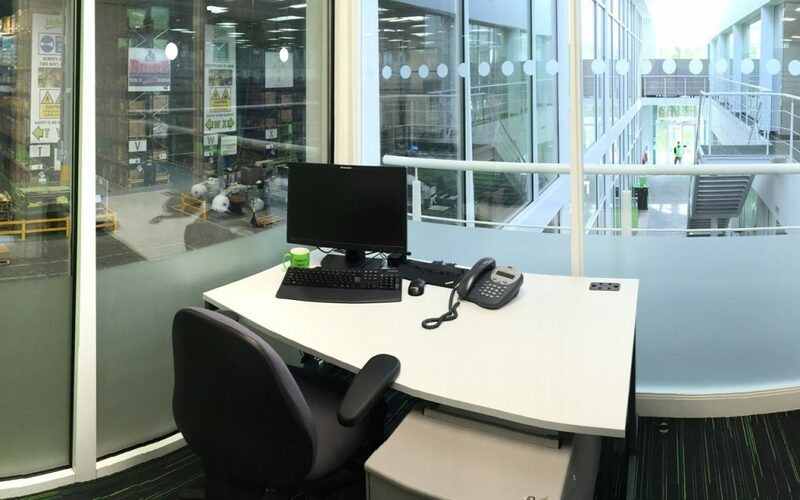 Full height glass in windows, partitions or doors must marked correctly with manifestation to make sure that it is made obvious, to help prevent injury sustained if someone was to walk into the glass. 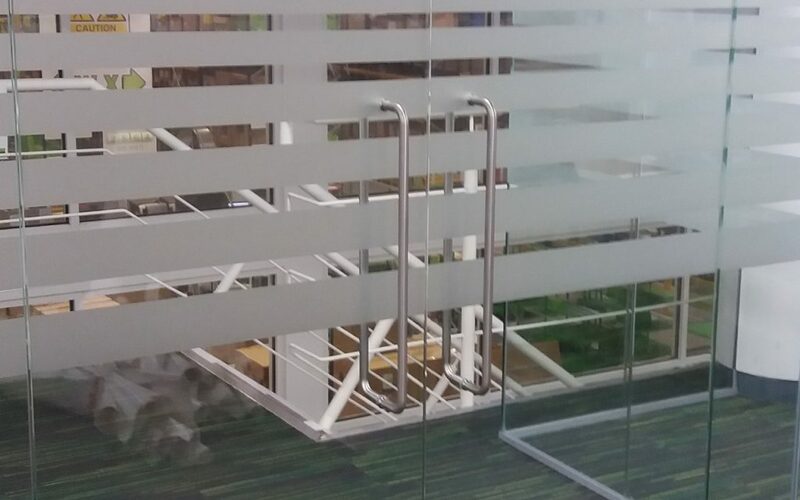 b. Manifestation that will contrast visually with the background seen through the glass, both from the inside and outside, in all lighting conditions. c. Manifestation in the form of a logo or sign, a minimum of 150mm high (repeated if on a glazed screen), or a decorative feature such as broken lines or continuous bands, a minimum of 50mm high. 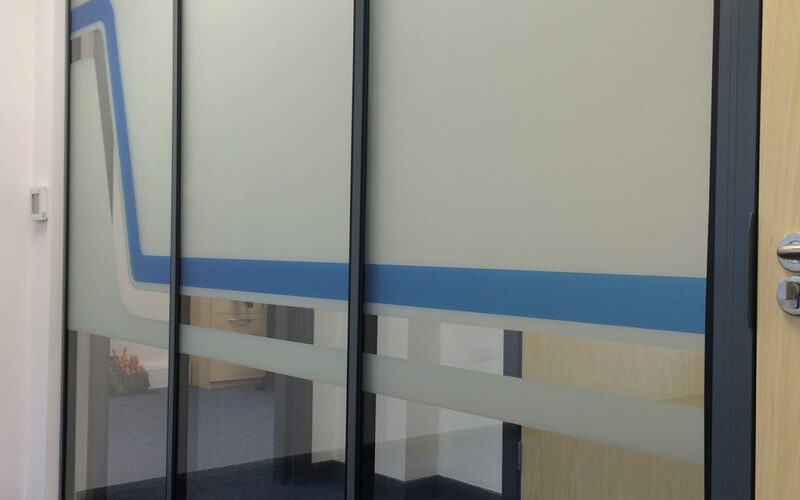 d. Where glazed doors are beside or part of a glazed screen, they are clearly marked with a high-contrast strip at the top and on both sides. 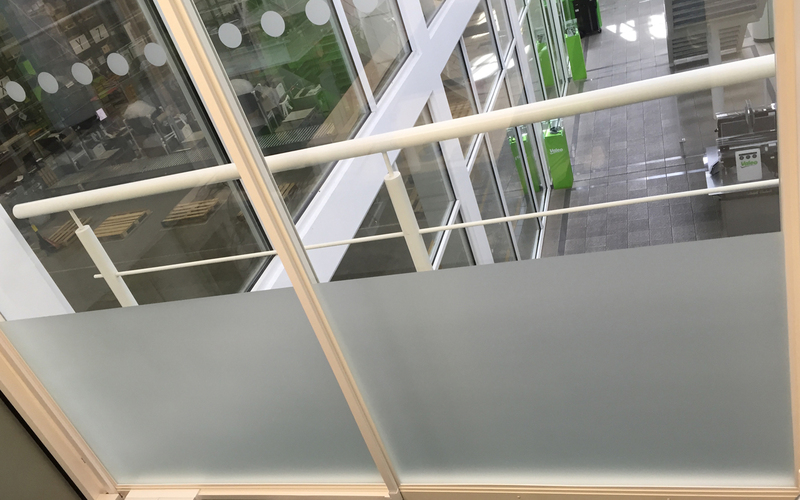 e. Where glass doors may be held open, they are protected with guarding to prevent people colliding with the leading edge. This is the minimum requirement. 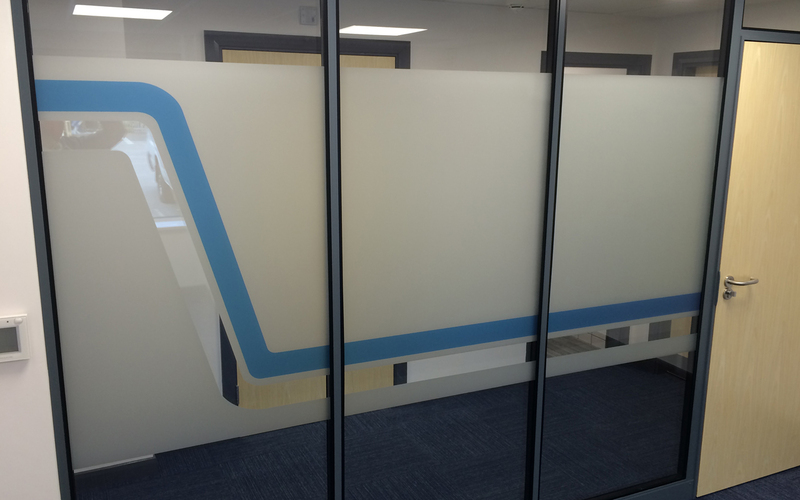 Larger or full area manifestation may also be used, including coloured films and graphics. Viso Partitions can advise you on the best type of manifestation to use on your project. 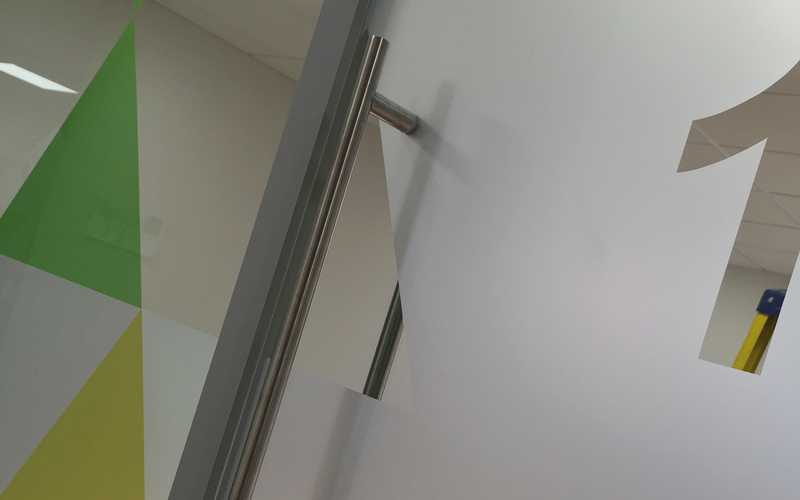 We can also explain the current safety regulations if they are unclear. 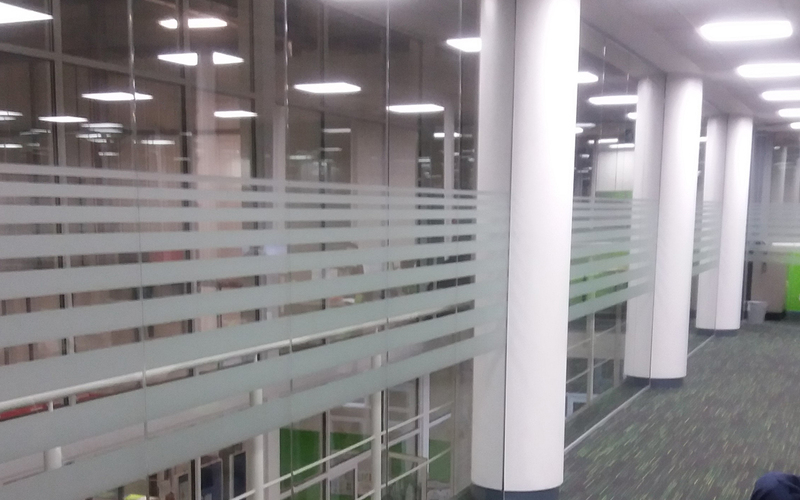 For further detail, download the current Building Regulations Approved Document K using the link on the right, or click here to visit the Government website. 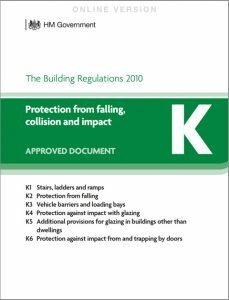 Note: These regulations were formerly part of the Building Regulations Approved Document M, but were transferred to Approved Document K in 2013.
any queries you may have. 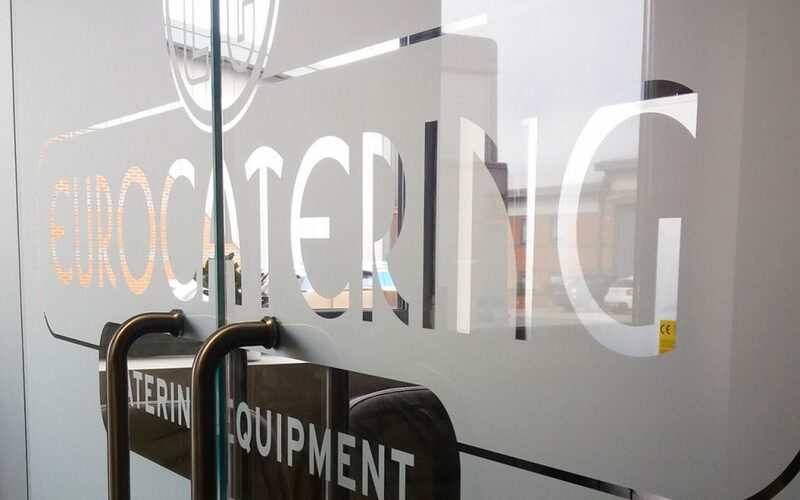 Use our contact form or call us directly.